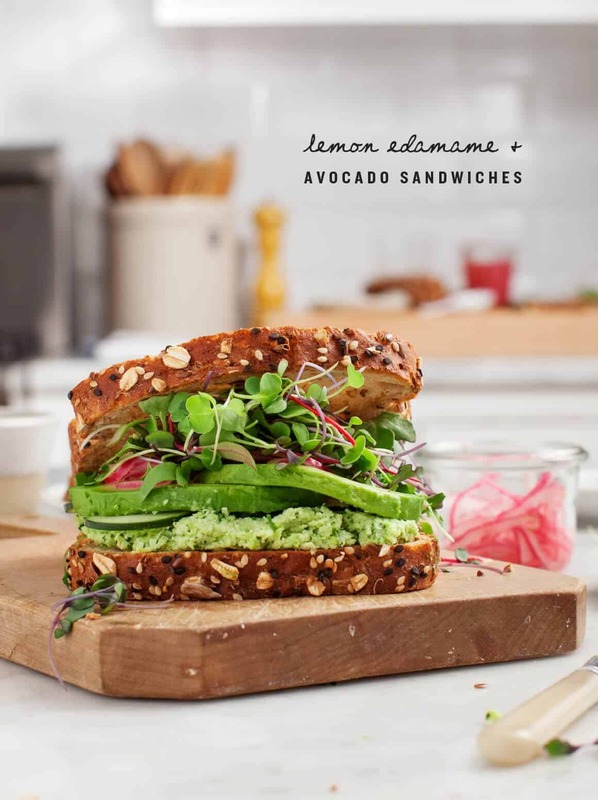 Bursting with bright pickled onions, lots of greens, and a creamy, lemony edamame spread, this avocado sandwich is a must-try lunch recipe! What’s better than avocado on sliced bread? Avocado in between soft seedy sliced bread… with lemon-edamame filling, sliced cucumbers, tons of sprouts, and pickled onions. This is a green monster of a sandwich. First let’s talk about this spread and why I was inspired to make it. Jack and I had a Sunday ritual where we ate lunch every week at a place here in Austin called The Steeping Room. I guess you could call it our church because we went every week like clockwork and dutifully ordered the same thing – I got the Lemon Edamame Tea Sandwiches with a cup of Tomato Coconut Bisque (and Jack got a roast beef sandwich, but we don’t need to talk about that…). Ok, we still go there and still order those things, but I finally made a version of the sandwich at home – only I made it a bigger avocado sandwich because I like it so much. Now the bread. I often get comments and emails asking what kind of vegan bread I like and where I buy it. 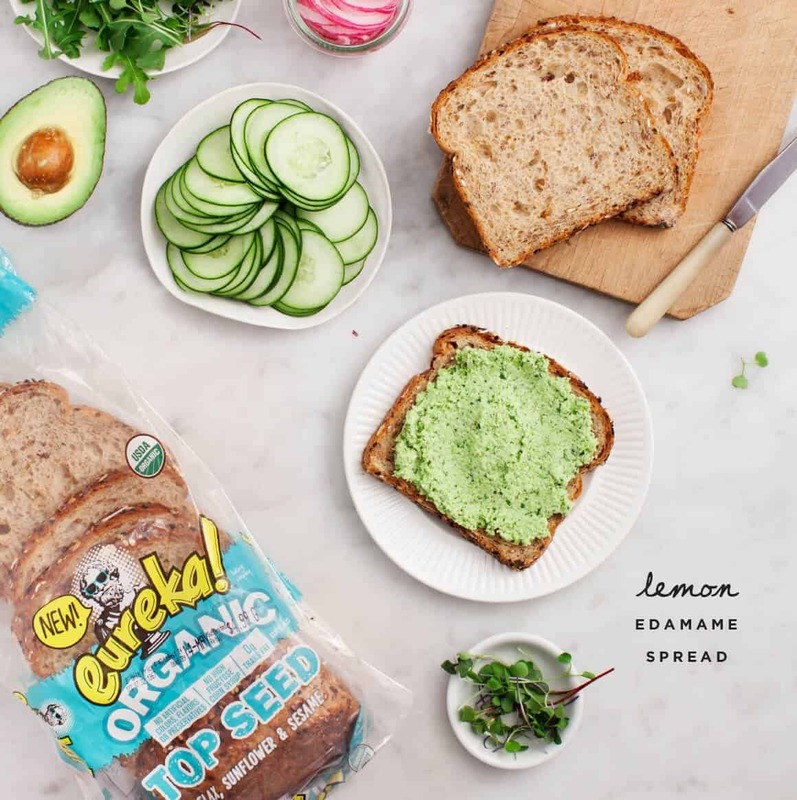 Which is why I’m excited to share eureka!® Organic Bread (with whom we’ve partnered on this post) with you today – it’s entirely vegan, certified organic, and made with no high fructose corn syrup, no artificial flavors, colors, or preservatives. It’s super soft and SO delicious. Sometimes “healthier” breads can taste like cardboard, but not this one! It comes in many varieties – pictured here is Top Seed®, which is full of flax, sunflower and sesame seeds. 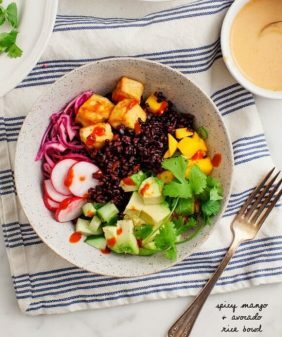 The best part is that you don’t have to go to a specialty store to find it – it’s in most regular grocery stores (HEB here in Texas) and Target stores. (here’s a handy zip code locator). I should mention that the edamame spread is also great all by itself on toast. There’s no avocado in the spread itself, so it’ll last for 4 to 5 days in the fridge. I’ve found it handy for all of those moments during the week when I crave avocado toast but my avocados are either underripe or non-existent. I don’t know why, but creamy green stuff on toast is just delicious! Try this egg salad sandwich (it has a vegan option), this tempeh sandwich, or this chickpea salad sandwich next! Make the pickled onions: Place the sliced onions in a small tight-lidded jar. Add the white wine vinegar, cane sugar and salt. Fill the jar with enough water to cover the onions. Gently shake and chill for at least 20 minutes. This will keep in the fridge for several weeks if the onions are covered by the liquid. 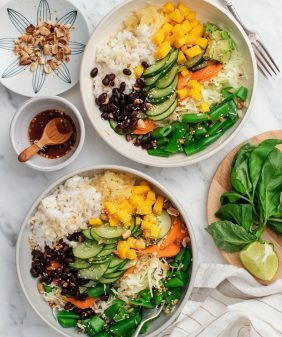 Make the sandwich filling: Place the edamame, cilantro, lemon juice, scallions, garlic, and sea salt into the bowl of a food processor. Pulse until chopped. Add the olive oil and blend until smooth. Add up to 3 tablespoons of water to create a smooth, spreadable consistency. Season to taste and chill until ready to use. The filling can be in advance and stored in the fridge for 3 to 4 days. Spread the edamame sandwich filling on 4 slices of bread. Top with the cucumber and avocado slices, pickled onions, arugula and the remaining bread slices. This post is sponsored by eureka! Organic Bread. All opinions are my own, thank you for supporting the sponsors that keep us cooking! This sandwich is stunning! Seriously one of the prettiest (and most delicious looking) I’ve ever seen. 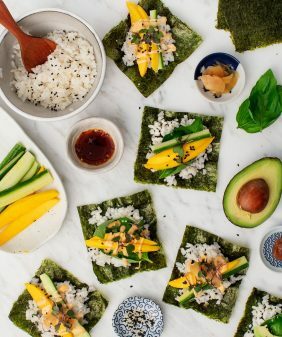 And that lemon-edamame filling sounds amazing! This sandwich, like all your recipes, looks amazing. Thanks! Same here – I have to taste test it every time because often it is rancid, or they won’t have it. I have to settle for the “Cilantro paste” more often than I’d care to admit. Oh that’s good to know – I do get really good cilantro here. It’s the easiest (and usually cheapest) herb for me to find. But it’s helpful to know that it’s not as available in other areas! Basil is a good sub here (and in many recipes). It’s not exactly the same flavor, but it would be lovely in it’s own way. What an absolutely beautifully green sandwich! 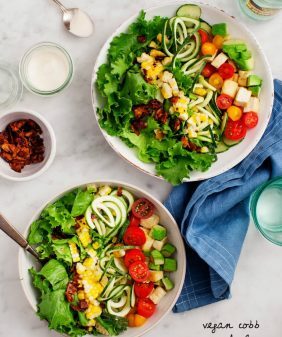 I am always inspired by you to eat more greens! Pretty good recipe the edamame was hardly distinguishable. My onion may have been extra hot but to me that flavor was a bit too strong. I like the idea of adding an extra avacado and if I make this again I think that’s just what I’ll do. Hi Maria – a quick tip: if you rinse your onion slices under cold water (and pat dry before using), it helps reduce that strong onion-y flavor. it looks so pretty I would have a hard time convincing myself to eat it! Thank you thank you so much Jeanie! This sandwich from the steeping room is my favorite and in the back of my mind I have been wanting to recreate it at home … this is awesome. Looks really delicious. Thank you again! So green and wonderful! Just what I am craving right now! Wow! Not sure that the edamame spread will actually last until dinner time. It has perfect summer flavors. Want to try it with some good chèvre too. A new favorite. 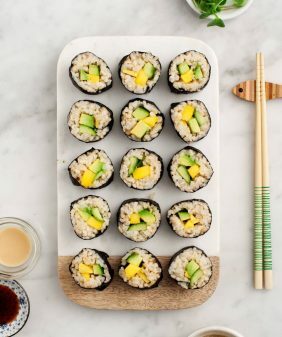 Did you use frozen edamame? I have some in the freezer but not sure if I should cook it first or this recipe? I think I’ve seen edamame fresh in the produce section but not sure which you used? Yep – frozen, I buy it shelled (because it’s easier), and I let it thaw either by leaving it out at room temp, or by putting it in a bowl under drizzling water for a few minutes. No need to cook it, just thaw it. I’ve yet to see cilantro in a grocery store in Switzerland and always replace it with coriander. Not sure whether it’s an appropriate substitute but the spread was still yummy. I’m pretty sure coriander is just another name for cilantro, so you actually haven’t substituted anything! Thank you so much Jeanine! I love the lemon edamame tea sandwich at the Steeping Room, but this is so much better. I just made a sandwich, ate it, and made another-it’s so good! The pickled onions really punched it up (plus they’re so pretty). This is my new favorite lunch. This looks amazing! Question: Can you substitute shallots for the red onions? Made this for dinner tonight (with homemade English muffin bread) and it was delicious! Will definitely add this to the regular rotation. 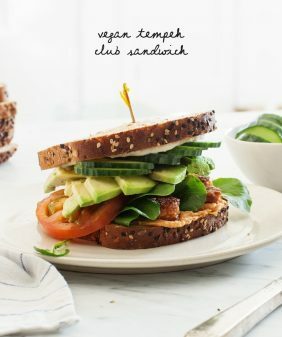 I ove everything in this vegan sandwich is amazing and so delicious, if you want to start your day in a right way this sandwich recipe is the answer. Thank you for sharing with us.